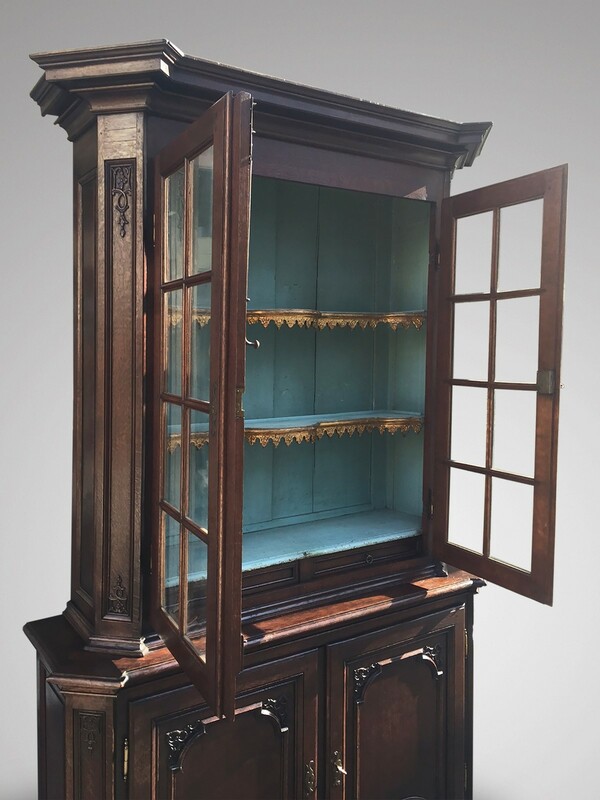 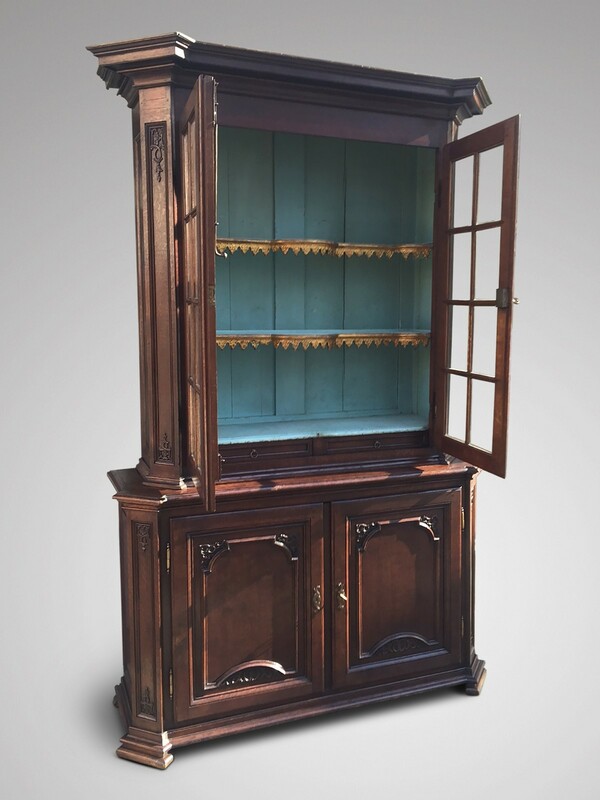 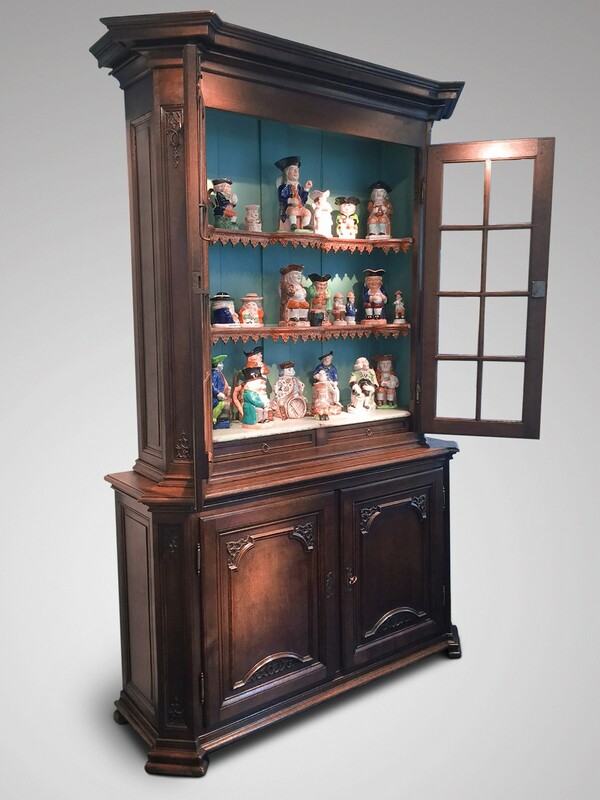 A mid 18th-century oak Belgian Display Cabinet. 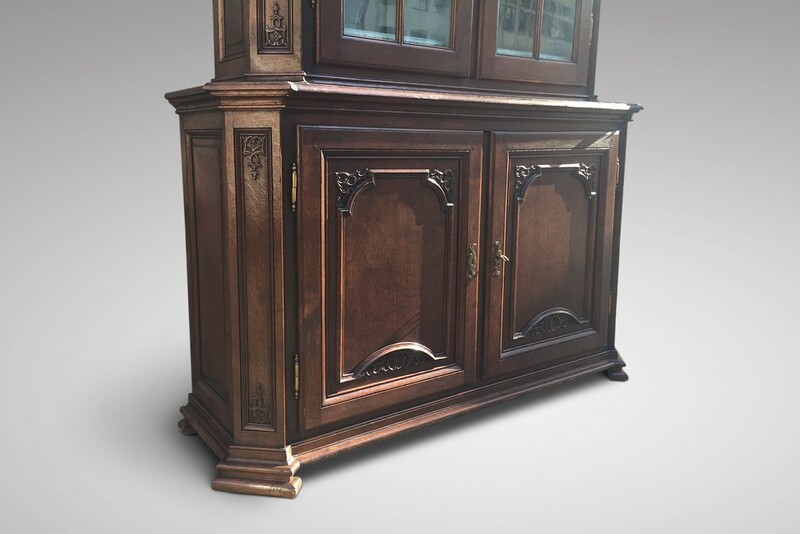 Carved overall with C-scrolled rock-work and flower baskets, the eared moulded breakfront cornice above a pair of glazed doors enclosing a painted interior with two shelves above two frieze drawers and a pair of panelled doors, on plank feet. 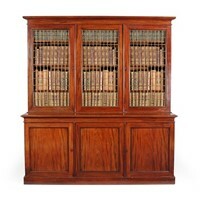 Liège circa 1740.